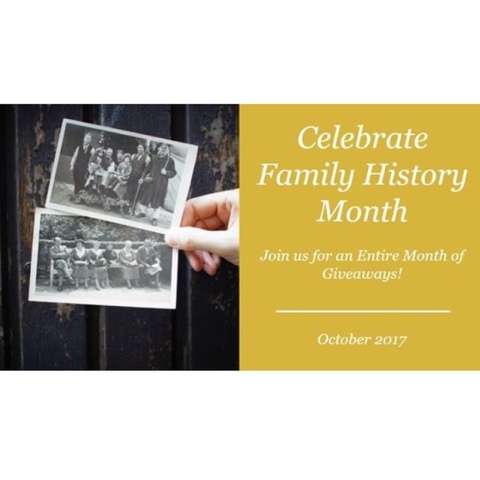 October is Family History Month and I am participating in an AMAZING Giveaway hosted by Amy Johnson Crow! Every Friday in October there will be a prize and a GRAND PRIZE on October 31, 2017. Are you ready to enter the Giveaway? This Friday (October 6, 2017) I am joining Amy with the prize. I am awarded the winner one (1) book from my Amazon Author Page (view here). The book can be either print or digital (the winner's choice). So, how to you enter? Simply head over to this link at Amy's website (click here) follow the rules, read the guidelines, find more information, AND enter the Giveaway! 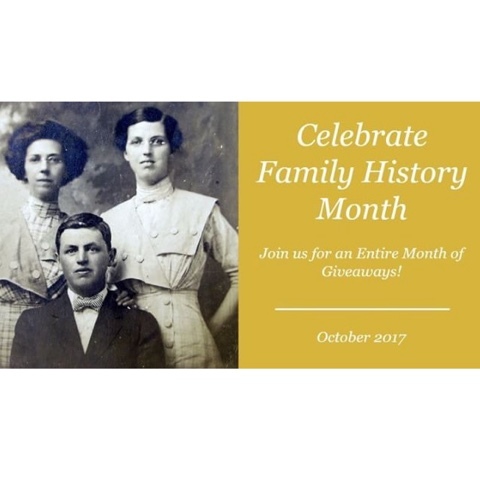 Visit the websites below for those participating in the Family History Month GIVEAWAY (hosted by Amy Johnson Crow).